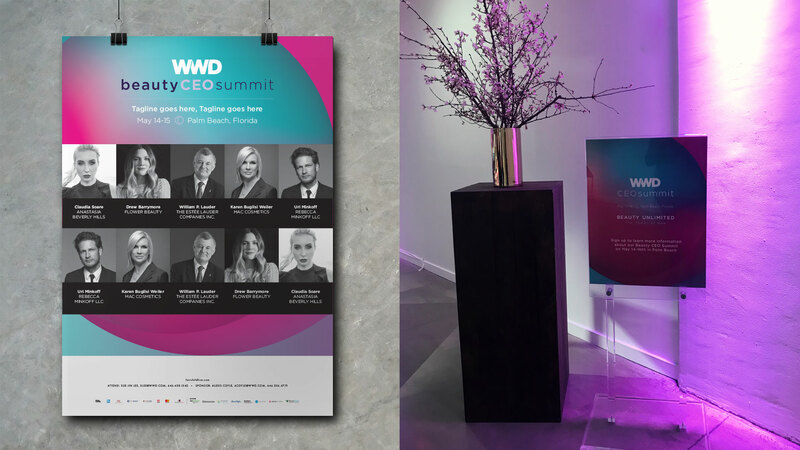 With the theme of Beauty Unlimited the WWD Beauty CEO Summit featured presentations from the world’s foremost beauty brands and experts, digital innovators and more, expanding global business and establishing cross-channel strategies. Beauty Inc is a resource for the global beauty supply chain. This event celebrated excellence in the field of beauty, with awards being presented to Kylie Jenner, Burt’s Bees, Estee Lauder, and more. 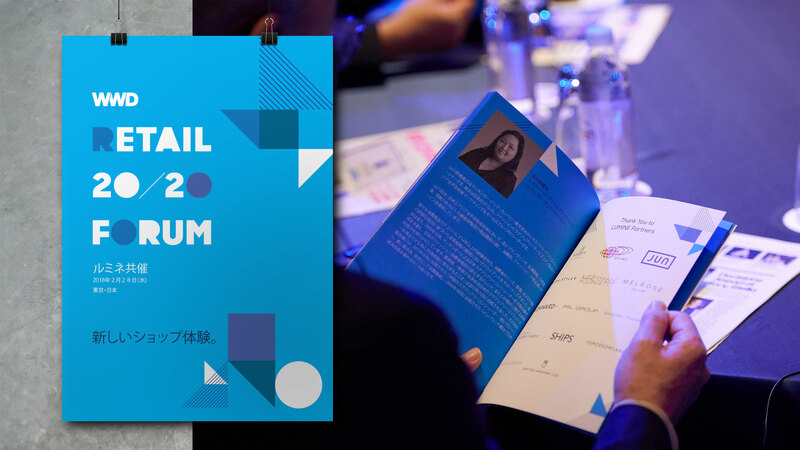 Co-hosted by LUMINE, was WWD’s inaugural event in Japan and presented practical intelligence from global brands that are innovating physical spaces and integrating digital with physical. A unique challenge – this project allowed me to typeset Japanese Kanji alongside English translations; which opened me up to new ways of approaching type and how it’s laid out. 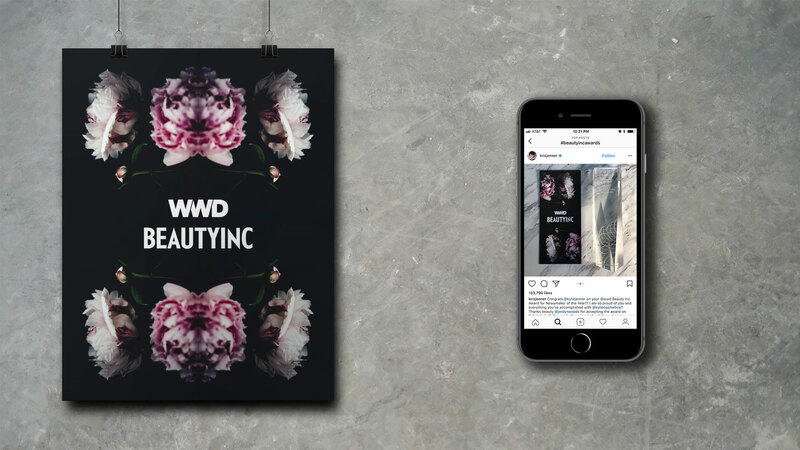 The digital universe for beauty brands and retailers is complex and unique. 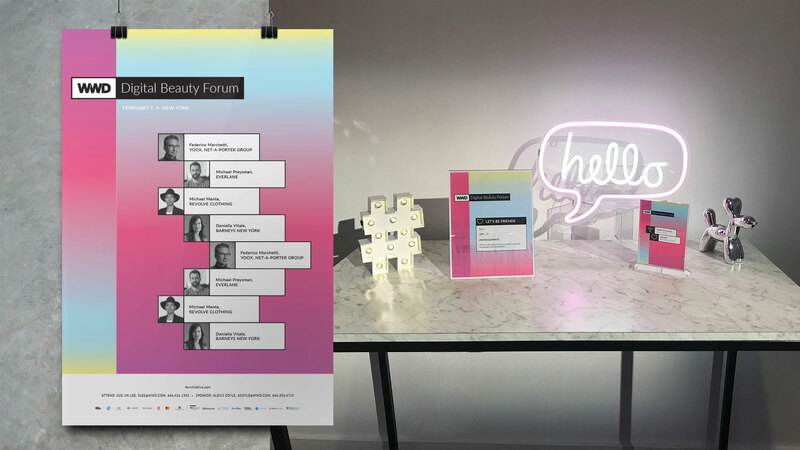 This forum was curated for 200+ digital marketers in this space to discuss leveraging data, the social media reach and connecting consumers with their brand voice. 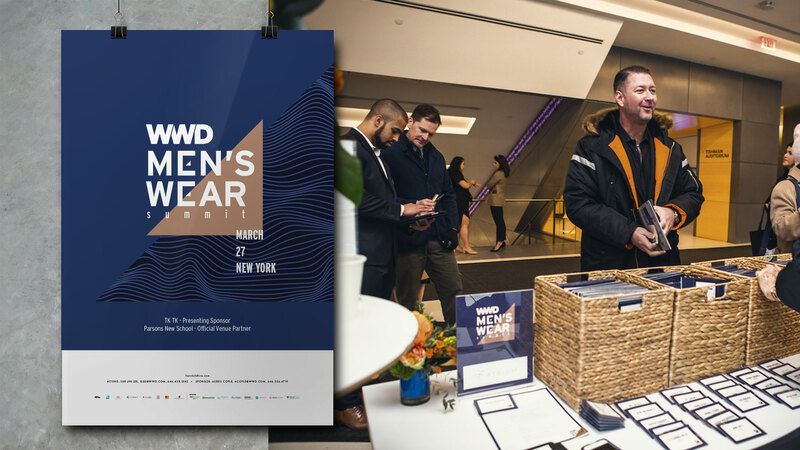 A day of inspiring speakers, informative and interactive sessions, and unparalleled networking with colleagues from fashion, retail, and e-commerce for the menswear industry.